The unexpected election of Donald Trump, along with continued Republican control of both houses of Congress will have a big impact on our US priorities. 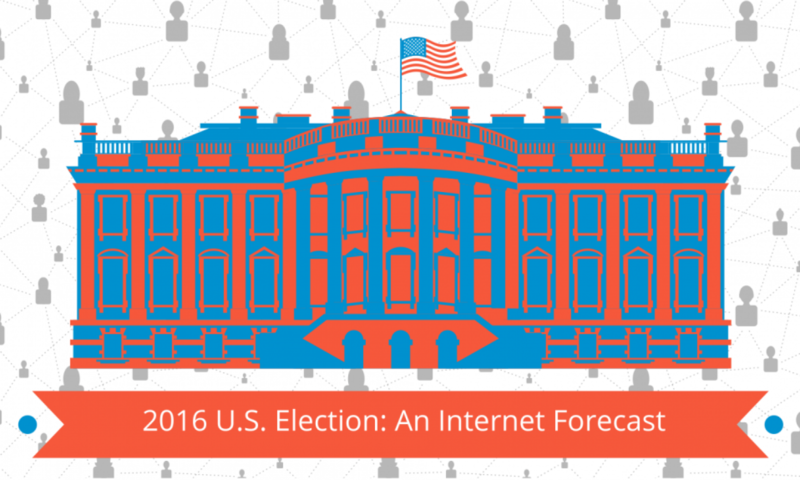 While the outlook remains unclear, we’ve prepared the memo below examining the initial impact the election may have on issues that matter to Internet infrastructure companies and organizations. With a unified government, Republicans have a rare opportunity where they have a high chance of successfully passing their agenda. The 60-vote filibuster rule in the Senate is the Democrat’s only procedural means of preventing them from doing so. Because of the limited presidential policy information presented by the Trump campaign during the election, it is difficult to know what will come next year. In particular, few details are available regarding the Trump Administration’s tech policies. What is certain is that this seemingly blank slate on tech issues provides the i2Coalition with opportunities and challenges. Despite some antipathy between President-Elect Trump and those in the tech industry, the i2Coalition is well-positioned to promote common-sense policies that will ensure the growth, stability, and success of the Internet. We must begin by being educators. Given President-Elect Trump’s team’s lack of tech experience, it is imperative that our voice is heard early and often. President-Elect Trump has consistently described himself as a builder, as well as a business person, throughout his career. We must leverage that fact, and convey that we are also builders and business-people, in our efforts to help the Trump Administration understand technical issues. It is crucial that we accurately portray how the Internet works, and our role in it, to avoid bad policies. President-Elect Trump also leveraged the power of the internet to reach his supporters in ways that traditional politicians have failed to do. He has a strong grasp on the power of technology and will continue to be a uniquely positioned to use the internet to elevate his bully-pulpit. President-Elect Trump’s approach to policy and his limited knowledge on tech issues, while fresh, could prove damaging to the nuances of intermediary liability. Educating the incoming administration on intermediary liability will be essential moving forward. During the Presidential debates, President-Elect Trump did not seem to fully grasp how the notice and takedown system functioned, so working with his team on education is crucial. Ensuring his administration understands how vital it is to limit our liability, will be a key focus of our efforts in 2017. In particular, President-Elect Trump’s comments, and those of his advisors, on libel, create major concern. President-Elect Trump is both very brand-conscious and litigious. He is a copyright creator, but has frequently used and benefited from content generated by others. It is likely we will need to focus new education efforts for the incoming administration on tech-based IP, to ensure a clear understanding of our market landscape. One hopeful sign is that President-Elect Trump has very little respect for outdated middlemen which permeate the content creator industry, so there is a chance that he will want to make it easier for users of copyright to get access to those works, potentially opening up parts of the system. We continue to focus on issues related to safe harbor in the DMCA and see this as a critical firewall for our members. Patent trolls continue to be a serious problem for our industry. We will need to make sure the Trump Administration is aware of the negative impact trolling has on innovation and the economy, and continue to be a positive voice for patent reform. President-Elect Trump’s experience as the target of litigation may provide an opportunity to connect with his experiences. His transition team has frequently mentioned the need for litigation reform and many pieces of patent-troll legislation are prime litigation reform targets. A free and open Internet relies on a solid global digital market, which in turn relies on free trade. As trade policies get re-written, we will need to make sure the Internet and our members are well represented. Because the Obama administration had made prohibition of data localization a centerpiece of its trade negotiations, President-Elect Trump’s statements of hostility towards trade agreements currently pending, or in negotiation, is of concern. President-Elect Trump has embraced a dangerous precedent that privacy and security are in conflict. The hacks on Democratic National Committee, however, likely served as a signal that all networks are vulnerable and that there is a need to use all of the tools in the cybersecurity toolkit to prevent cyber-crime. We will make sure his team understands the need for strong encryption throughout the Internet ecosystem, and that weak decisions based on poor information will have negative impacts on the Internet, innovation, and the economy as a whole. Global concerns about US government access to data is a threat to U.S. global competitiveness. President-Elect Trump has positioned himself as incredibly pro-law enforcement so we must work with the law enforcement community as well at the new administration to keep this issue top of mind. We will diligently work to educate the Trump Administration on the impact of perceptions of U.S. government blanket surveillance and how those perceptions affect the U.S. economy.